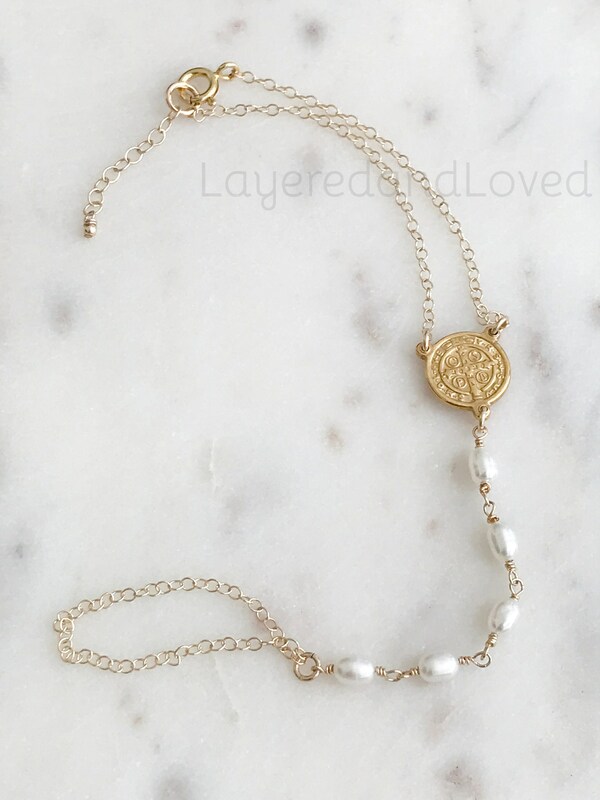 ♥ - 14k Gold Filled Chain & Connectors. 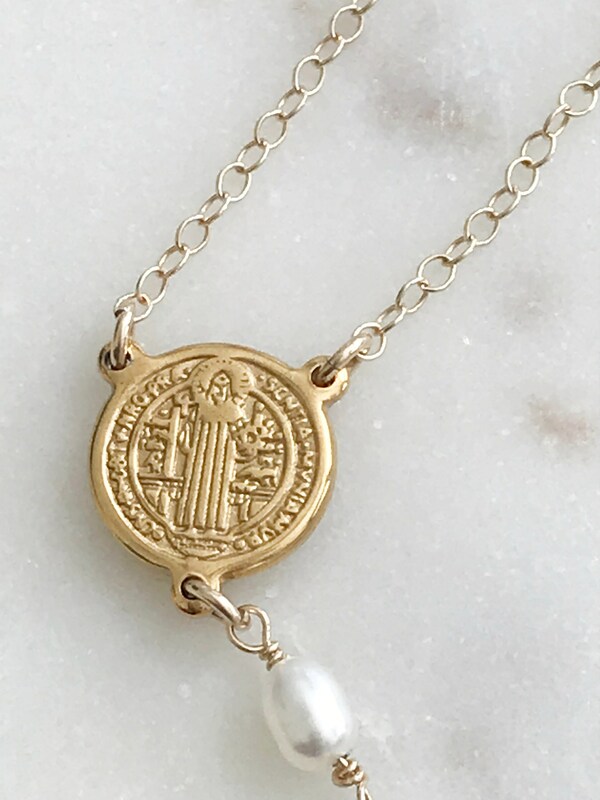 ♥ - 18k Gold Plated Stainless Steel Saint Benedict Connector. 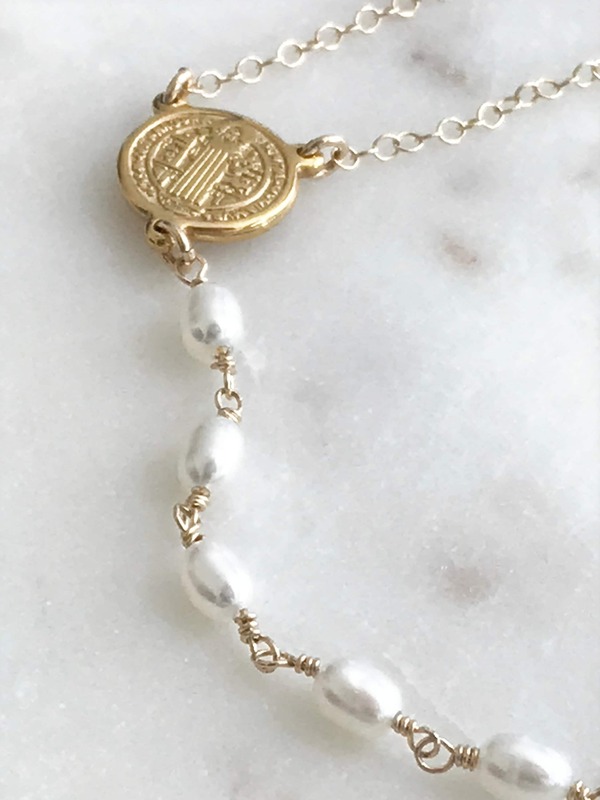 ♥ - AA Lux Freshwater Pearls. 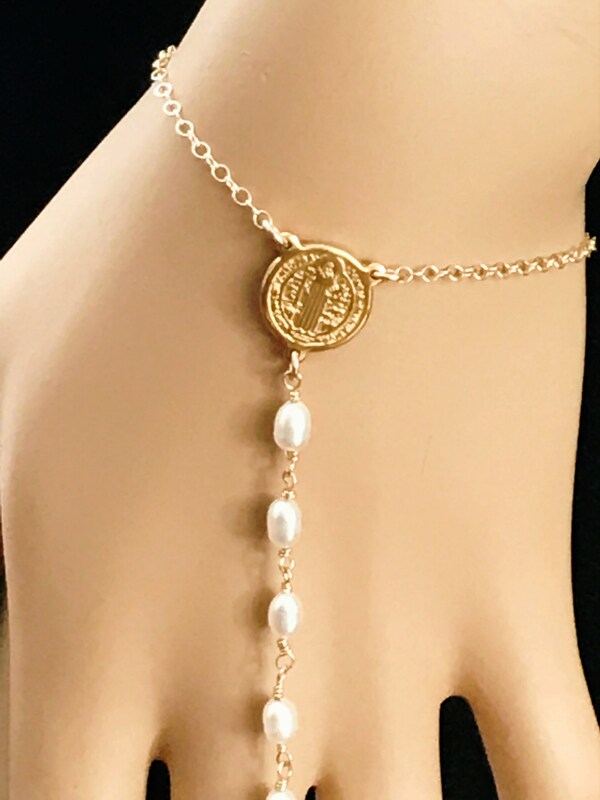 ♥ - Beautiful 14k gold filled Y pearl rosary bracelet with chain link ring connection. 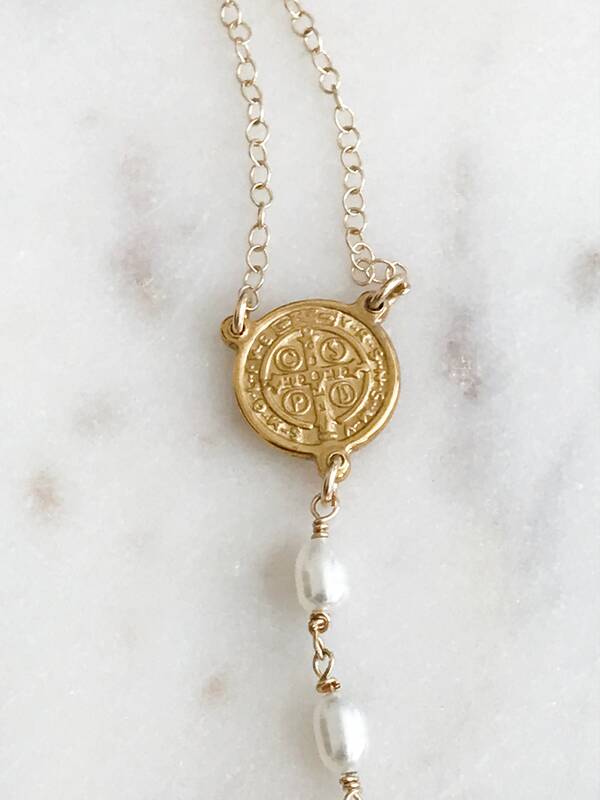 The white pearls have a beautiful sheen and are wired with 14k gold filled wire. 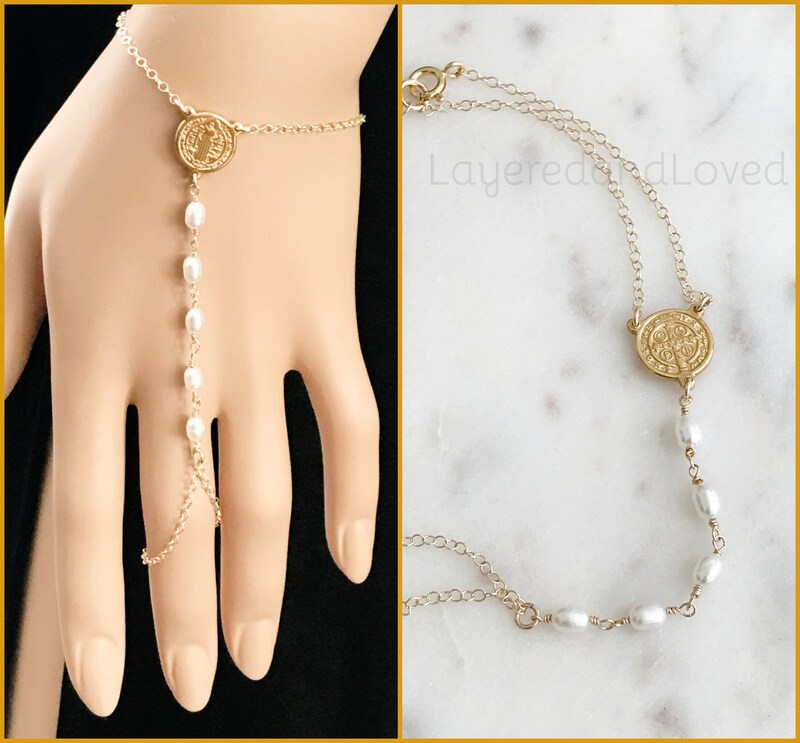 Sizes are adjustable (S/M) is 6.5" - 7.5" or (M/L) is 7.5" - 8.5". 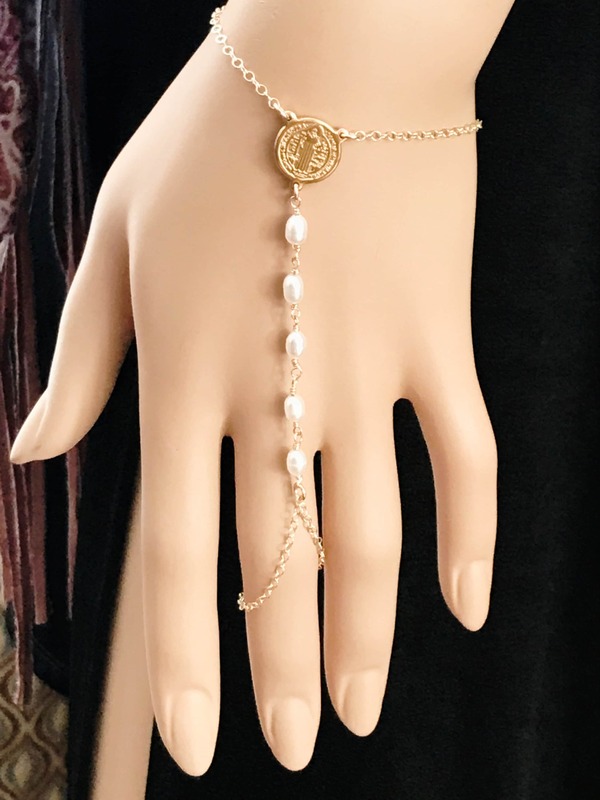 The extender is finished with a dangling 14k gold filled bead.